In 1888, Wesley College was established as a facility of the Methodist faith in Manitoba, in affiliation with the University of Manitoba, in a building on Main Street. 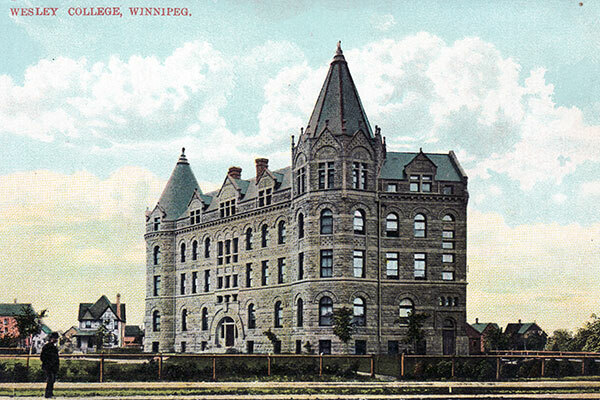 Eight years later, a two-storey stone college building was erected along Portage Avenue and officially opened at a ceremony on 3 June 1896. An annex, designed by architect J. H. G. Russell and built in 1912, was later renamed Sparling Hall in commemoration of founding college Principal J. W. Sparling. 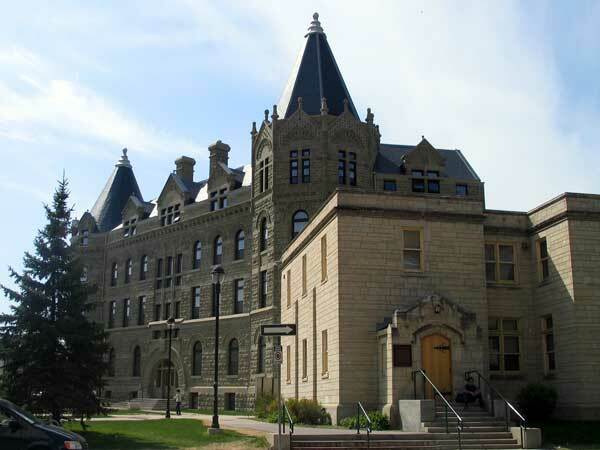 In 2007, the restoration project for the old Wesley College building, a municipally-designated historic site that is now Wesley Hall at the University of Winnipeg, received a Conservation Award from Heritage Winnipeg. In 2018, the Leatherdale Hall construction project received a Conservation Award from Heritage Winnipeg. “Opened with éclat,” Manitoba Free Press, 4 June 1896, page 1. Wesley Hall, University of Winnipeg, 515 Portage Avenue, Winnipeg Historical Buildings Committee, October 1997.